Wellbeing Online is dedicated to helping you develop skills that foster a happy, balanced life by taking a holistic approach to healthy living. We provide opportunities to learn about all 8 dimensions of wellbeing to help you identify multiple ways to improve your personal wellbeing. 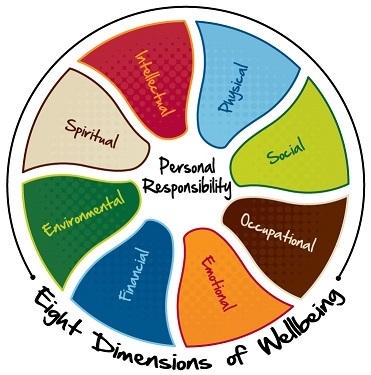 Follow the links below to learn more about the 8 dimensions of wellbeing.